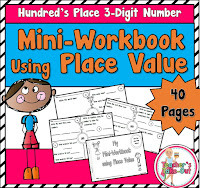 Mini-Workbooks using Place Value comes in 3 versions; 2-Digit, 3-Digit, or 4-Digit Number Packs. Each Pack includes 40 (half sheet) worksheets. You can assemble together to use as a mini-workbook or just use the half sheet one day at a time. 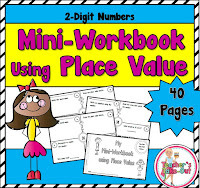 Use for classwork, seat work, small group, homework, or exit tickets! Meet the Rockin Rounders! Here are some fun task cards to practice rounding. Plenty of choices to meet the needs of your classroom. Each Pack comes with a FREE Preview Page. Rounding 2-Digit Numbers has 4 math centers. 40 Task Cards that students round 2-Digit Numbers to the nearest ten. Use these task cards at a math center along with a recording sheet or use them to play on one of the 4 game boards. Another set of 10 Task Cards asking the students which numbers round to the number on the task card. Students use a recording sheet to record their answers. 4 game boards. Use the task cards to play games while reinforcing rounding 2-digit numbers. 5 Worksheets to use at centers or to send home for homework. 40 Task Cards that students round 3-Digit Numbers to the nearest ten and hundred. Use these task cards at a math center along with a recording sheet or use them to play on one of the 4 game boards. Another set of 20 Task Cards asking the students which numbers round to the number on the task card. Students use a recording sheet to record their answers. 4 game boards. Use the task cards to play games while reinforcing rounding 3-digit numbers. 8 Worksheets to use at centers or to send home for homework. Rounding cards. These are rounding tips students use to practice rounding. Use the rounding cards as reminders on how to round. This fun rounding unit will have your students reinforcing rounding 3-digit numbers and it will give your unit a rockin boost! 40 Task Cards that students round 4-Digit Numbers to the nearest ten, hundred, and thousand. 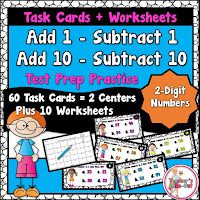 Use these task cards at a math center along with a recording sheet or use them to play on one of the 4 game boards. Another set of 20 Task Cards asking the students which numbers round to the number on the task card. Students use a recording sheet to record their answers. 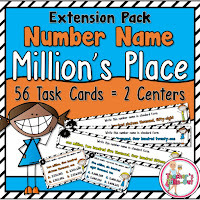 For example the task card will state, "Write 3 Numbers that Round to 1,000" Student's answers can vary, but numbers that round to 1,000 could be; 999, 1003, 1049. 4 game boards. Use the task cards to play 4 different games while reinforcing rounding 4-digit numbers. 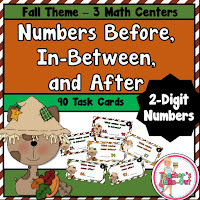 10 Worksheets to use at centers or to send home for homework.Rounding cards. These are rounding tips students use to practice rounding. Use the rounding cards as reminders on how to round. 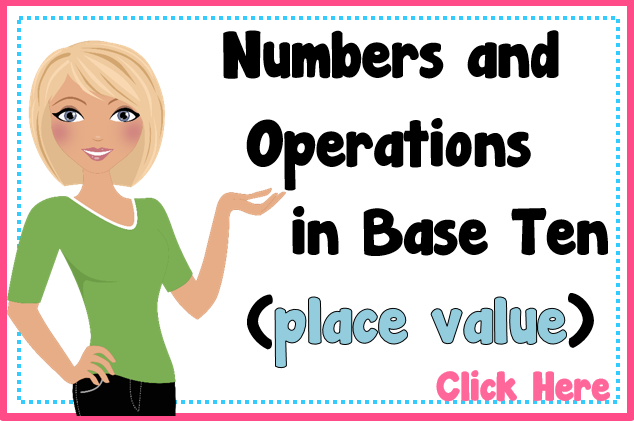 Need some place value review? These task cards display place value blocks in little stick men figures. They are super cute! Students count the blocks and write the number in standard form. Order and Compare 2-Digit Numbers includes 4 centers. #1 Students order four 2-digit numbers from least to greatest or greatest to least. #2 Students compare two 2-digit numbers and use the symbol <, >, = for comparison. #3 Students write the number that comes in between a set of two 2-digit numbers. #4 Students write the number that comes before and after the 2-digit number. 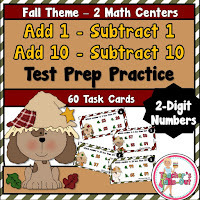 30 task cards, recording sheets, and answer keys are included with each center. Plus they have the cute and funny kid theme which makes these task cards engaging. They will definitely jazz up your math centers! A total of 120 task cards that you can use all year long. I love this Place Value Unit! It is full of task cards using 3-Digit Numbers. These come in a bundle. 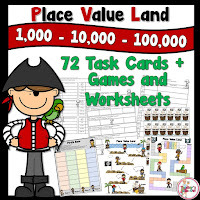 Place Value Land has some fun games, centers, and activities for numbers in the thousands place. Check out the previews below. 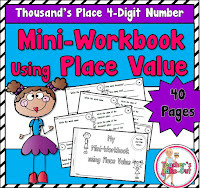 It's loaded with place value concepts. A set of games and centers are included for the thousand's place, ten thousand's place, and hundred thousands place. Each theme has a different pirate theme. 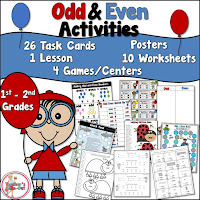 Odd and Even Activities is loaded with some fun ideas to learn about odd and even numbers. 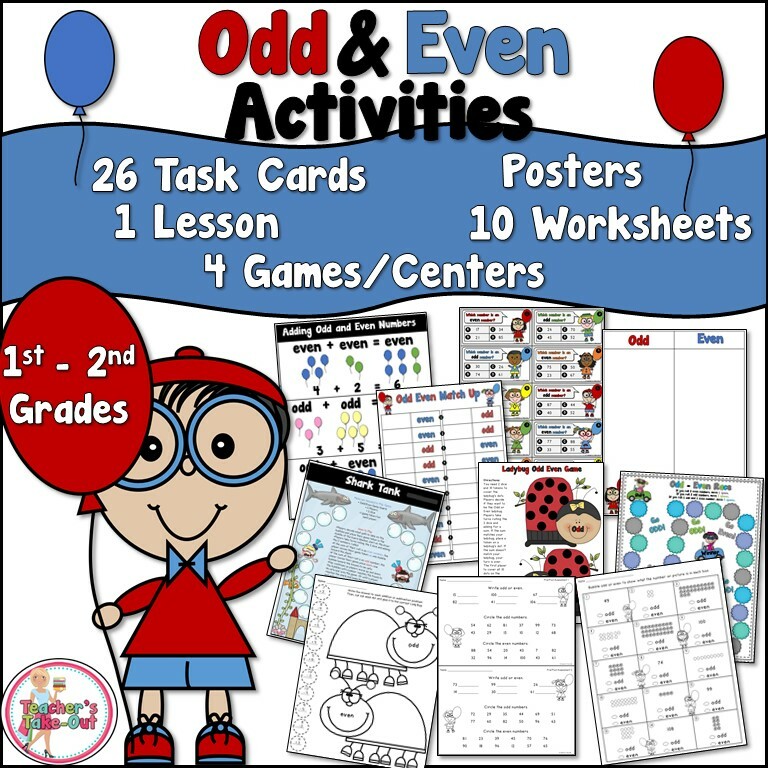 This pack has 26 task cards with recording sheets, a lesson, posters, games, centers, and worksheets. Click the picture on the left to read more about it. Get your Super Power Thinking on with these great games! They are perfect for helping 1st-3rd graders with number sense. Students are adding and subtracting without using their fingers. These games boards are engaging and fun for students to learn their facts. This pack comes in two themes. Number of the Day has 100 Two Digit Numbers to use for place value. Different recording sheets are provided depending on the needs of your classroom. These 3 packs are perfect for the K-1st Classroom! Place Value to the Millions! You can find some of these resources at a discounted price.